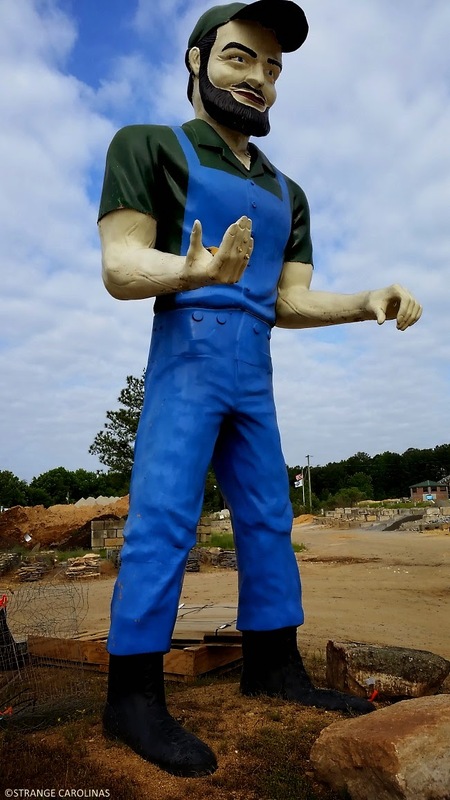 Raleigh's Muffler Man has had a busy life. He began life standing on top of the Giant Decorator paint store before being put out to pasture at the Bradsher produce farm. 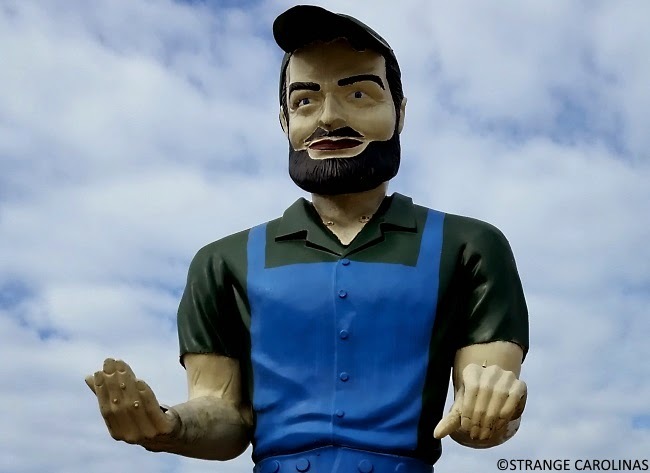 Now he stands guard over Bradsher Landscape Supplies. "We had a twister come through, and it blew his head off," Bradsher said. 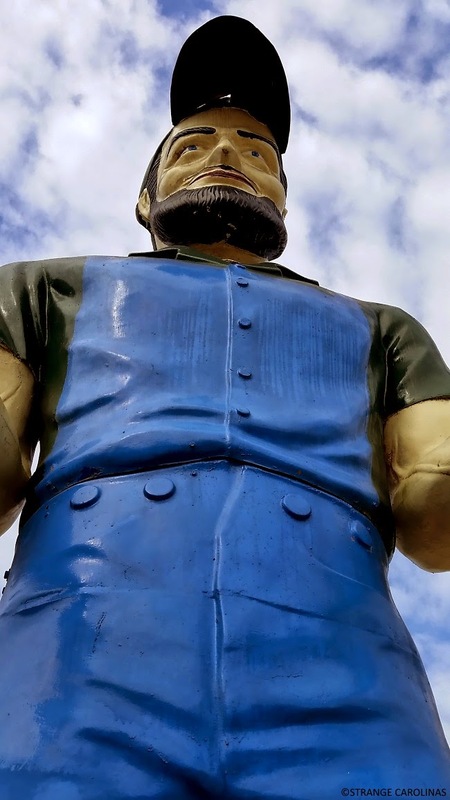 A few years later, high school students stole his arm as a souvenir but later returned the purloined appendage. "The community knew that it should go back to the rightful owner," Bradsher said.